The Red River Delta province of Bac Ninh ranks second nationwide in foreign direct investment (FDI) attraction in 2017, with US$3.5 billion poured into 270 new and existing projects in 2017. Last year, a range of big-scale projects were implemented in Bac Ninh, including an expansion project of Samsung Display Ltd., Co. valued at US$2.5 billion and several multi-million-dollar others, like those of Misumi Ltd., Co and Hana Micron. Over the past five years, the province lured 672 projects with accumulated capital reaching nearly US$17 billion. Thanks to the stable investment inflow, in 2017, Bac Ninh’s gross regional domestic product (GRDP) grew by 19.12 percent, exceeding the set target of between 9-9.2 percent. In the year, the province’s industrial production was valued at more than 968.8 trillion VND (42.6 billion USD). Its export turnover stood at US$29.85 billion, accounting for 14.9 percent of the country’s total figure, and its budget collection was 21.6 trillion VND (US$950.4 million). 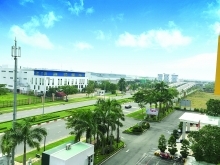 Bac Ninh has zoned 16 concentrated industrial parks, of which nine have been put into operation with an average occupancy rate of 63.46 percent. The IPs house businesses mainly operating in electricity, telecom electronics, electronic spare parts and pharmaceutical products, with total capital of nearly US$16.85 billion. Of the sum, nearly US$15 billion comes from FDI businesses. With 557 projects, the Republic of Korea (RoK) and Japan take the lead among 33 countries and territories investing in Bac Ninh. Akio Kawabata, General Director of Fujikin Bac Ninh, said apart from favorable conditions in terms of nature and human resources, Bac Ninh has made great efforts to improve its investment environment. 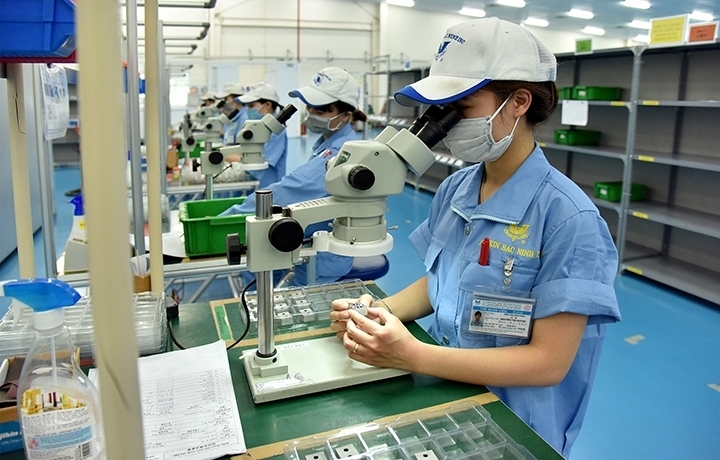 The FDI inflow has given Bac Ninh a boost, helping the locality create breakthroughs in economic development and implement social welfare policy. 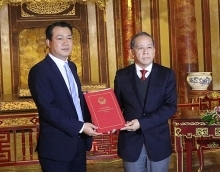 Nguyen Tu Quynh, Chairman of the provincial People’s Committee, said Bac Ninh has focused on building an attractive investment environment by helping businesses with infrastructure building in and outside industrial parks, and land clearance. Besides, Bac Ninh has facilitated linkages between enterprises and training institutes and vocational centers, he said, adding that the province is implementing the model of public administrative center across districts. However, the provincial Department of Planning and Investment said, the FDI projects have failed to help boost the support industry as expected. Therefore, Bac Ninh has begun to consider adjusting polices to improve the quality of the FDI inflow. Accordingly, the province will prioritize high-tech and environmentally friendly projects, while assisting the development of the support industry and infrastructure like transport, electricity, water, waste and waste water treatment. Attention will be paid to stimulating services of high-added value such as finance, banking, insurance, IT, telecommunications and software, among others, during 2020-2030, with a vision towards 2030-2050. The province has encouraged investments under the BOT (Build-Operate-Transfer) and BT (Build-Transfer) forms, along with implementing the public-private partnership (PPP) model.